Übersetzung in Englisch. 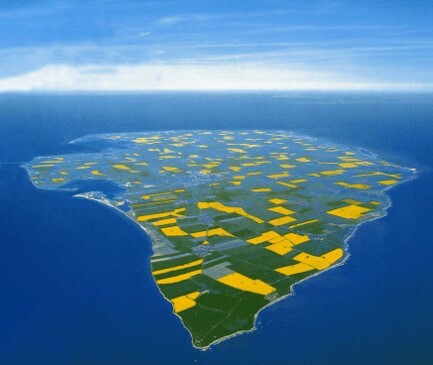 Fehmarn is a German Baltic Sea island and the third largest island in Germany after Rügen and Usedom. 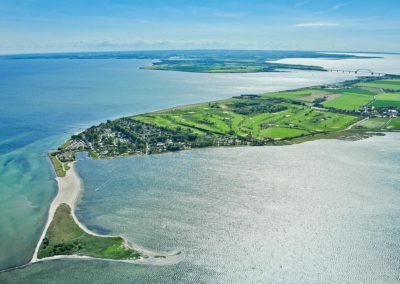 Its capital and administrative seat is Burg on Fehmarn. 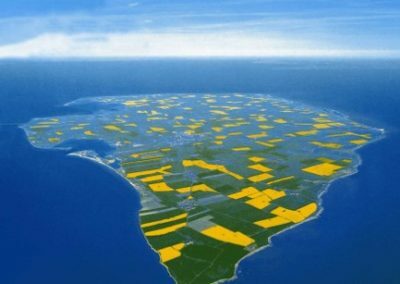 The islands economy is dominated by agriculture and tourism. 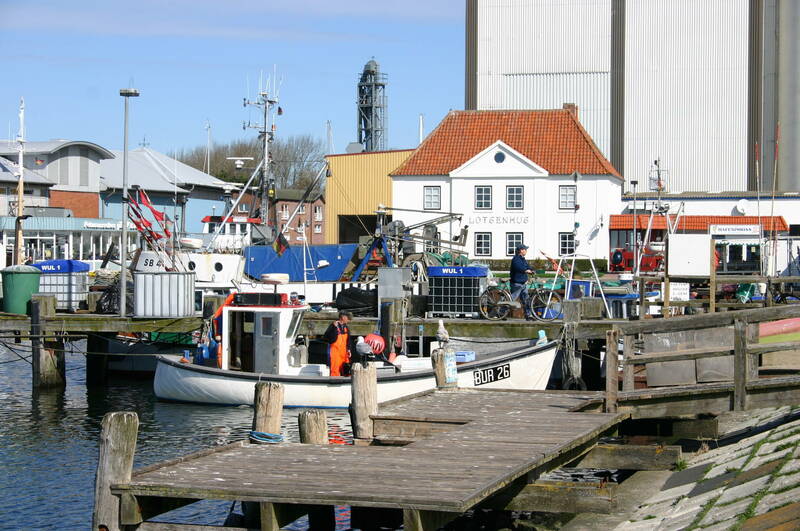 The largest town of the island with about 6000 inhabitants is the former city Burg, another 8000 live in the other 42 villages of the island. 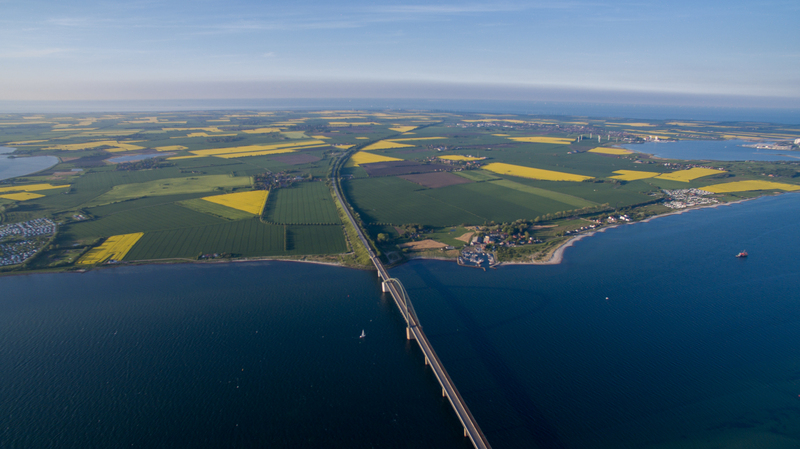 Fehmarn is 185 km² and has a coastline of around 78 km. 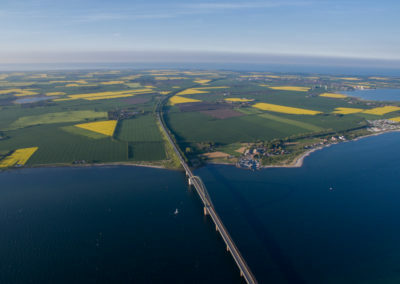 The island is connected by the Fehmarn Straits Bridge with the German mainland. 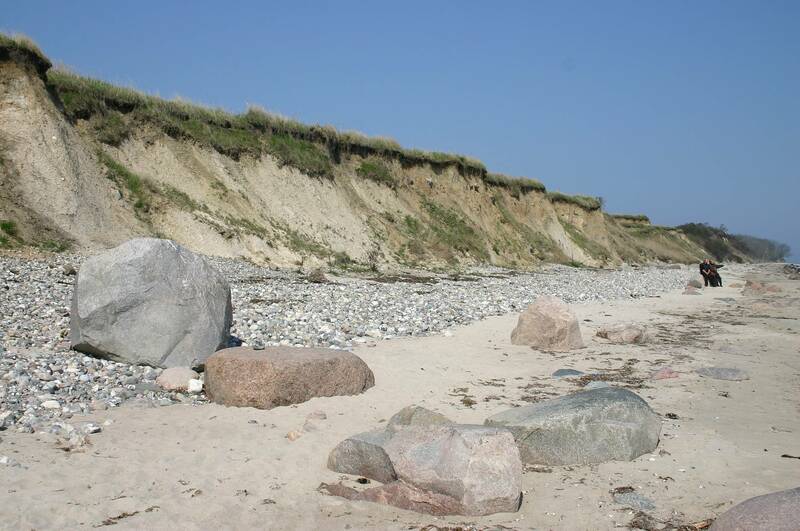 Fehmarn has several different coastal landscapes: the north coast between Markelsdorfer Huk and Puttgarden is a dune landscape with spit hooks and beach lakes. 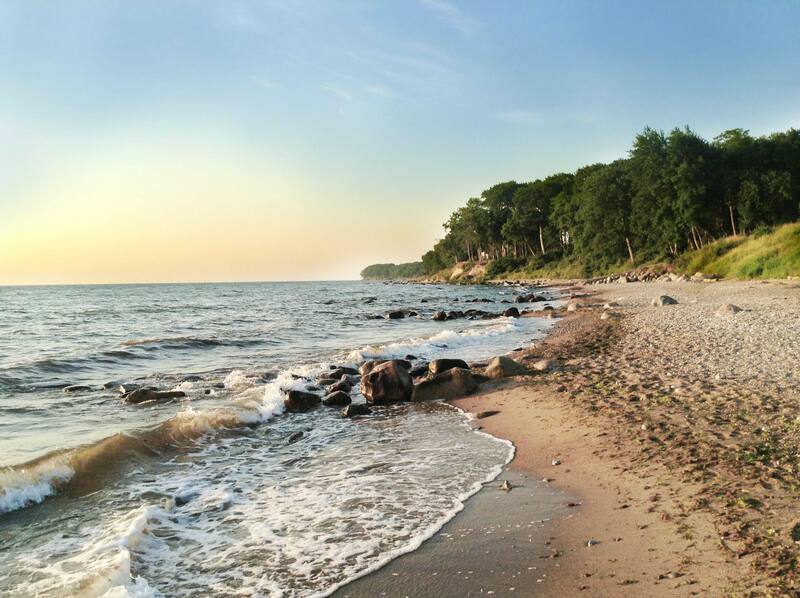 The east coast is rocky and has a cliff coastline. 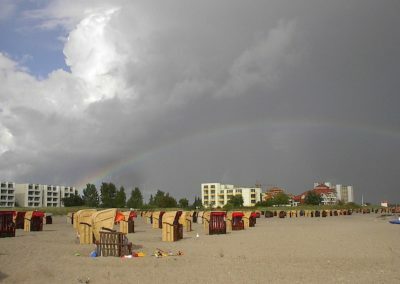 The South Beach at Burgtiefe and the Wulfener Hals are the southernmost and whitest sandy beaches on the island. Here the coastal strip is flat, as well as in the West. 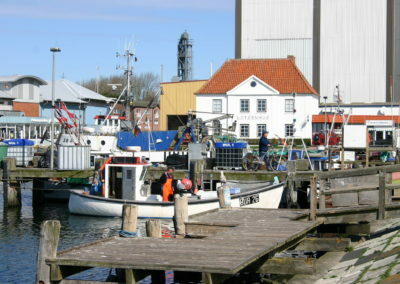 The average island level is usually only a little over sea level. The highest elevation is the Hinrichsberg (27.2 m). 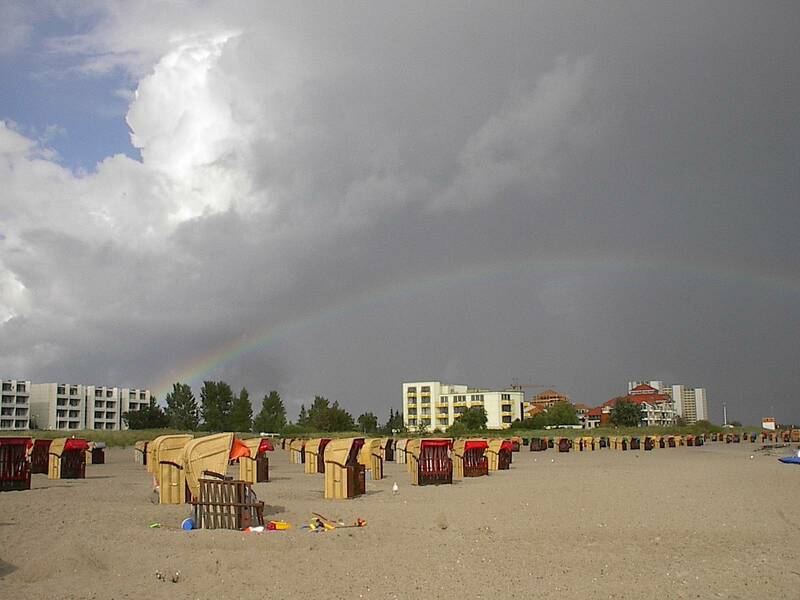 The average temperature on Fehmarn is 8.3 °Celsius, the average precipitation is 571 mm. 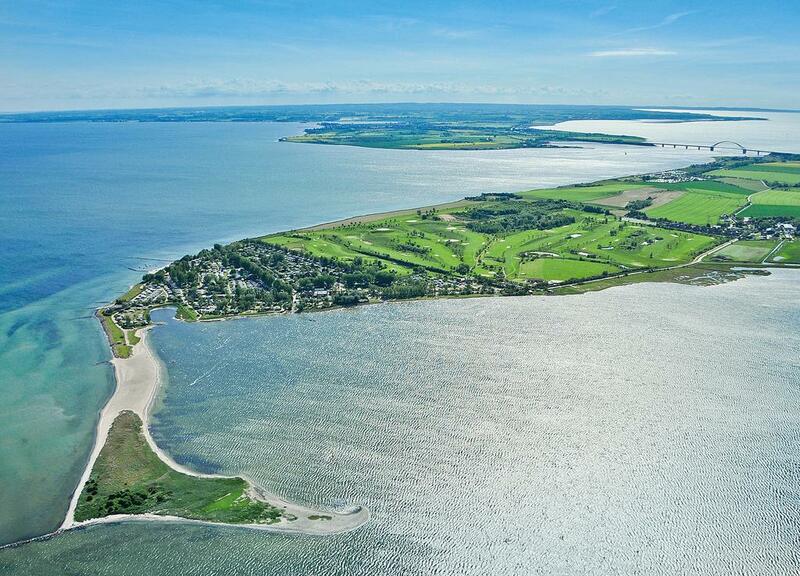 According to the German Weather Service (DWD), Fehmarn was the most sun-rich area in Germany in the year 2008. 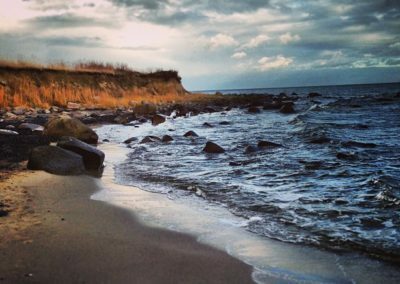 The sea temperature rise of the Baltic Sea is predicted to be one of the highest worlwide, causing possible problems with blue algae, jellyfish and other species – or bacteria like vibrio. 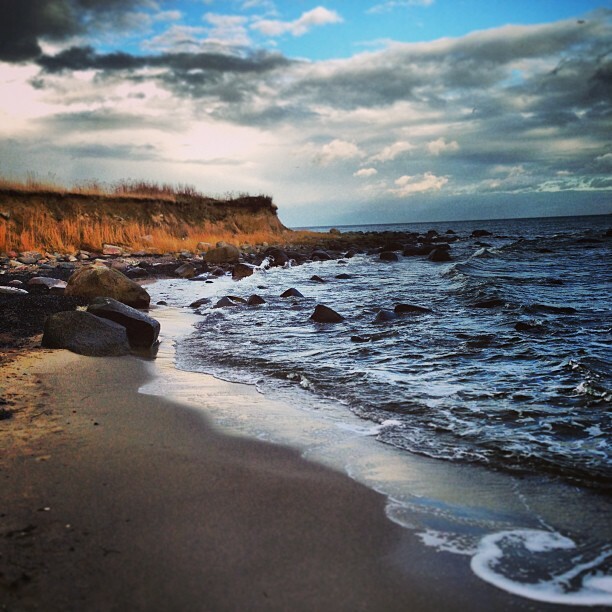 Sea level rise and storms are likely to cause higher coastal protection and beach maintaining costs in the future. Rising air temperatures are foreseen. As a result the amount and time of seasonal precipitation is predicted to change and demand adaptation measures by the agricultural sector. 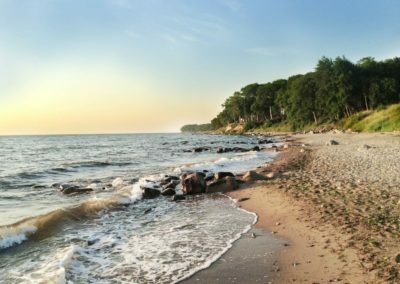 The average temperatures of land and water are likely to rise. As a consequence the tourist season could be extended in spring and autumn.